… or ‘One wonders why the wine’, or alternatively ‘What wonders the wine wrought’, depending on which camp you fall into, red or blue, left or right, Rebels or Empire. Aha. How perfect and how marvellously true unto itself this Bruichladdich is, even when watered down. Unmasked Bruichladdich is this – Fresh and sweetly malty. A generous plate of barley candy, lemon meringue, sea salt (generous dose here too) on whipped cream and cut green apples, pears and kiwi in a green fruit salad. Buttery pastry at its base dusted with fennel, here a greenish tang lulled into a musky warmth by the whispers of ambrette. This is my preferred style, which is not to say others shouldn’t enjoy what they like, because taste is a very personal thing. So, a nice sherry/wine influenced nose full of marmalade and candied figs. Milk chocolate, dirty leather and liquorice candy. Sweet and somewhat must-like with drippy treacle and a very tannic black tea. Rye bread too. Rather nice on the nose, but on the tongue however, the loud oaky tannic bitterness makes itself known, and that’s a no-no to me personally. Wood shavings and chewed up pencil tips, too much raw oak. Might be for you if you like a winey whisky, and it that regards it does check the boxes. 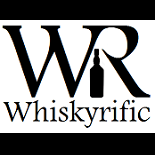 This entry was posted on March 19, 2019 by Whiskyrific in Bruichladdich and tagged Bruichladdich.